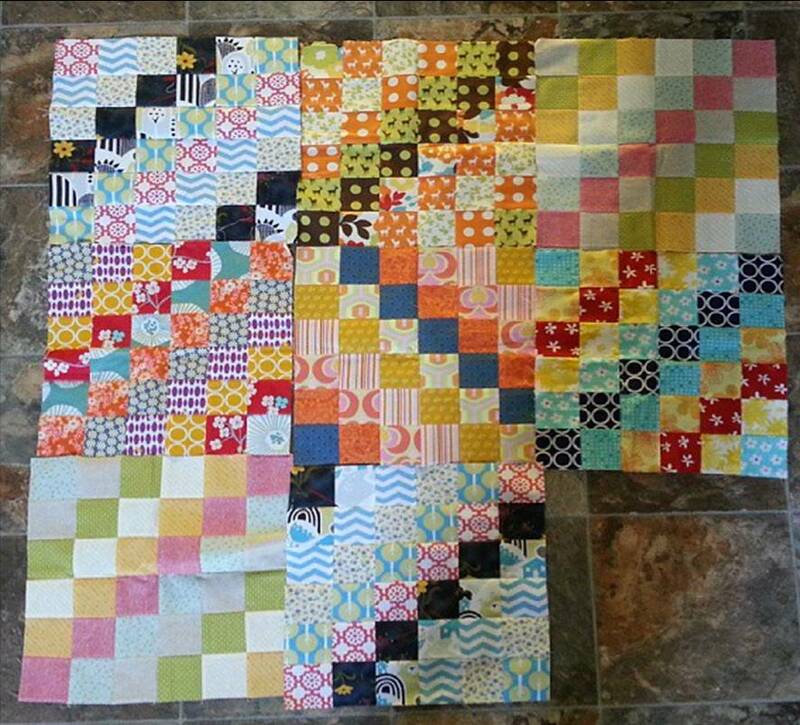 Modern Quilters Ireland - old: Scrappy Trip-a-Long Blocks, Anyone? Quite some time ago, the wonderful Annaliese (of Mail from the Cheeky Monkeys) so kindly volunteered to put together a donation quilt from scrappy trip-a-long blocks donated through the Irish Quilt Guild. 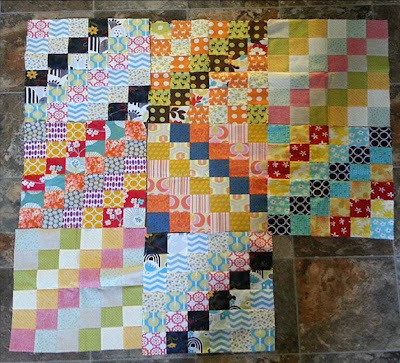 She now has 8 lovely blocks from our members, but is looking for another 4 blocks to fill out the top to a slightly larger size. If you have a few free minutes this weekend (and honestly it only takes a few minutes!) would you maybe think of making a block yourself? You can follow this easy as pie tutorial and then get in touch with Annaliese through her blog for her posting details. Thanks so much to those who have contributed and most importantly to Annaliese for organizing us!